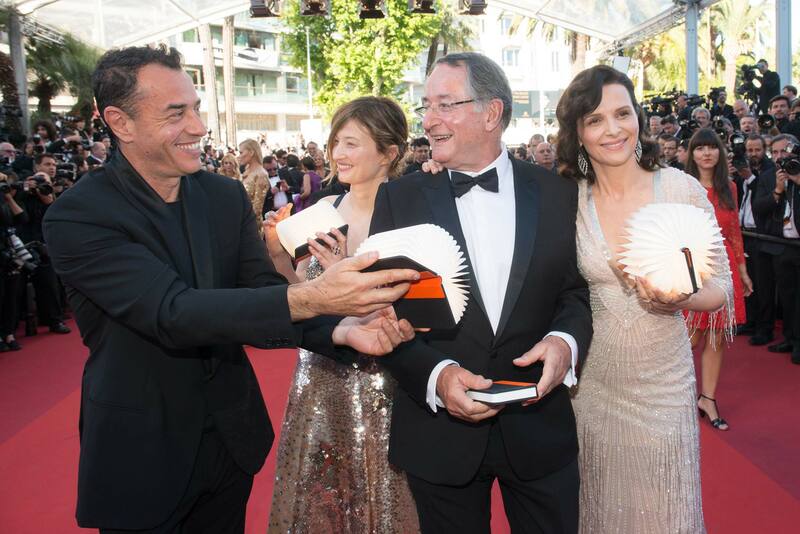 Peter Suschitzky, ASC received the Pierre Angénieux 2016 Excellens in Cinematography Award on May 20th 2016 at the Bunuel Theater in the Cannes Palais des Festivals. 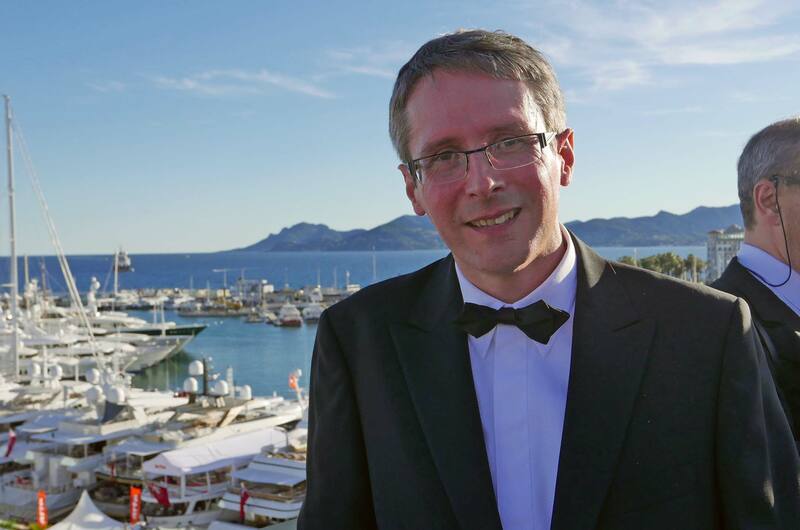 Cannes officially aligns itself with stars and auteurs. 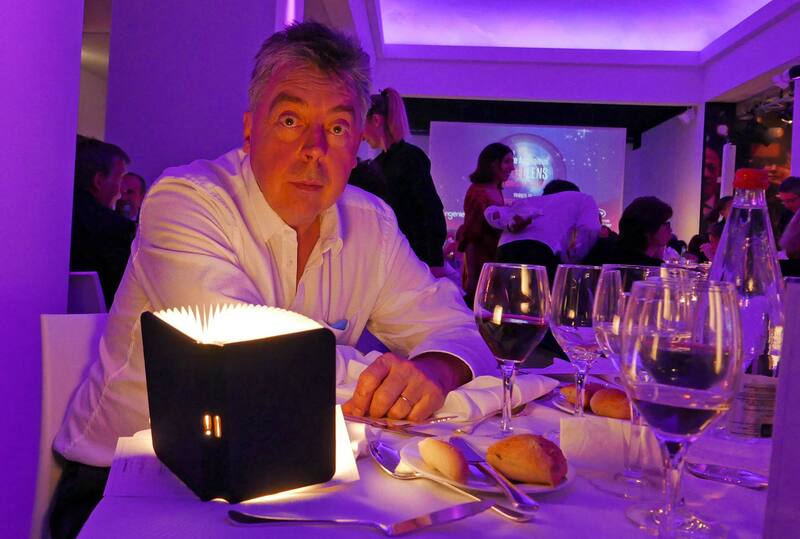 Angenieux honors the Cinematography. 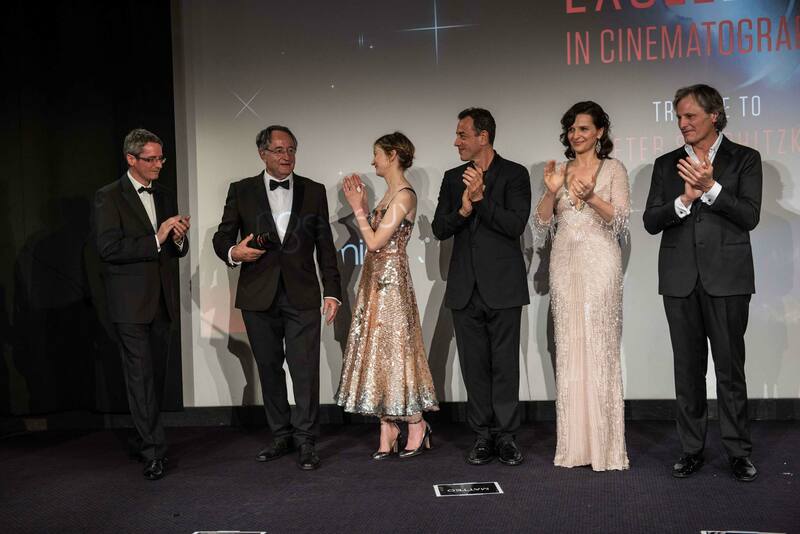 Previous recipients of the lifetime achievement award named after company founder Pierre Angenieux have been Philippe Rousselot, ASC, AFC in 2013; Vilmos Zsigmond, ASC, HSC in 2014; and Roger A. Deakins, ASC, BSC in 2015. The stairway to the heavens along the red carpet was illuminated by the strobes of 200 photographers and beautiful book lights carried by the delegation. These were not the familiar cinematographic slabs of foamcore and bounced light known as book lights. Instead, they were pages of paper with a lovely, soft source of LEDs buried within. 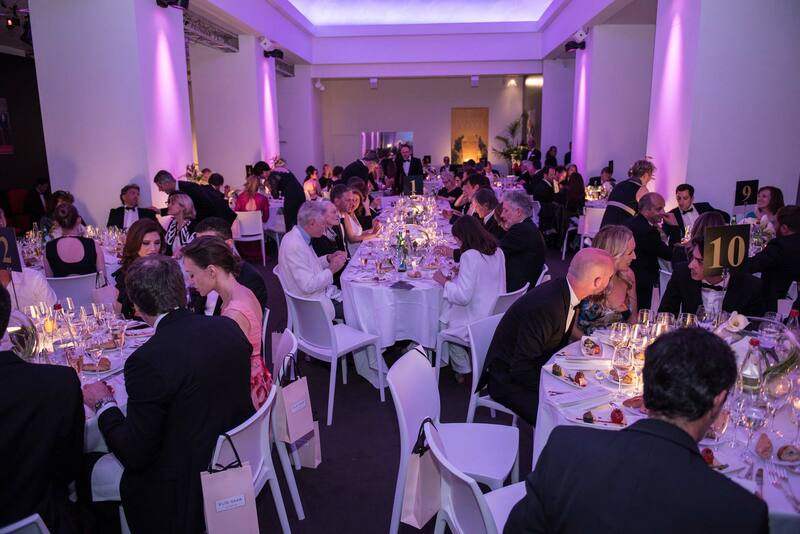 The next hour was spent on the spectacular Mouton Cadet Terrace on the top of the Festival Hall, sipping cocktails, admiring the mega-yacht view below, and meeting with Angenieux suppliers, distributors, users, friends, cinematographers, rental houses, directors, producers and actors. The ceremony unfolded in the Salle Bunuel Theatre two floors below. 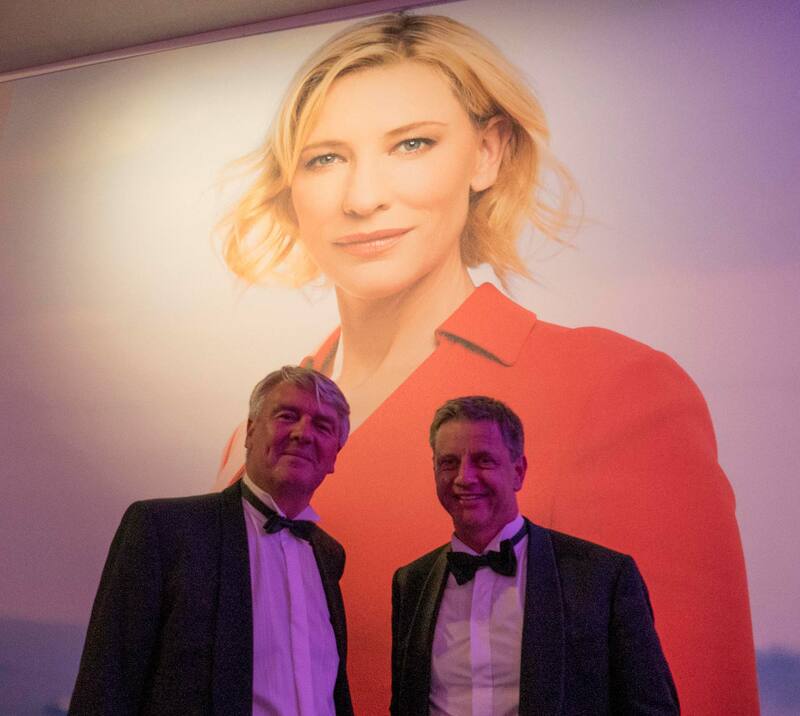 Peter was honored in speeches by festival director Thierry Frémaux, CST President and Cinematographer Pierre-William Glenn, Pierre Andurand, Alba Rohrwacher, Matteo Garrone, Juliette Binoche and Viggo Mortensen. 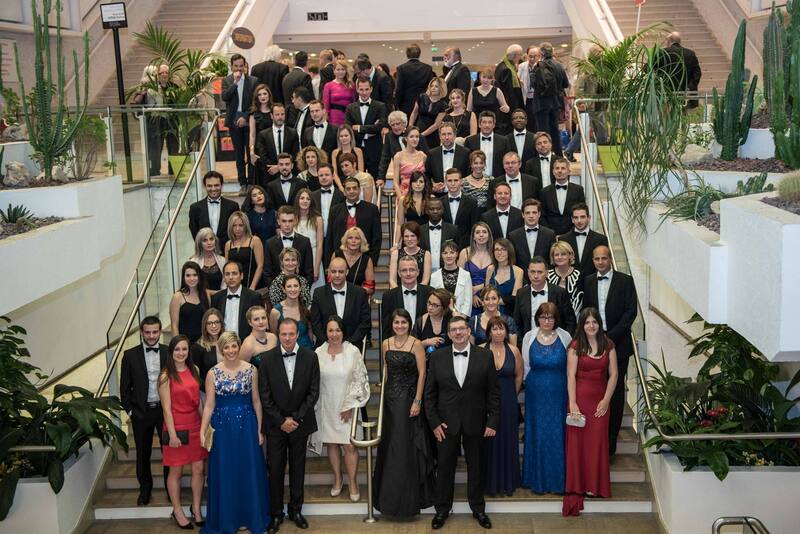 More than 50 employees of Angenieux made the trip from Saint-Héand to Cannes to attend the event. Next stop: the Hotel Majestic Barriere and dinner in the Salon Croisette long into the night.